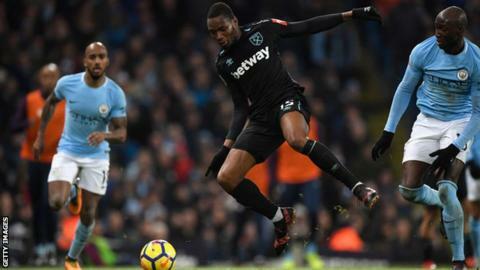 West Ham forward Diafra Sakho has joined French Ligue 1 club Rennes for an undisclosed fee. The 28-year-old Senegalese, who joined the Hammers from Metz in 2014, scored 24 goals in 71 games for the club. Sakho's career at West Ham began well as he equalled a Premier League record by scoring in his first six starts. However, injuries hampered the rest of his time at the club and he has started only two Premier League matches since the start of the 2016-17 season.